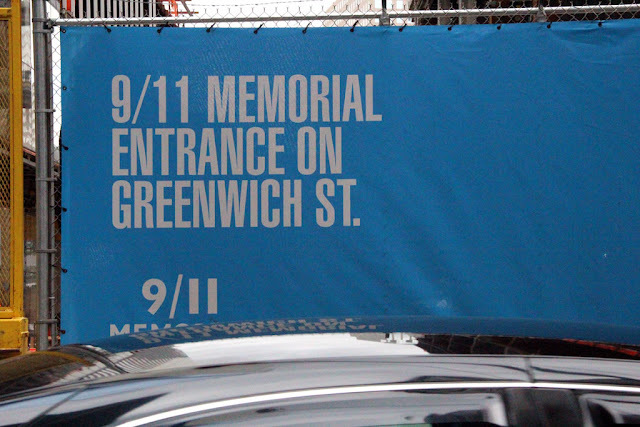 Everybody remembers where they were on September 11, 2001. I was at home, watching television when all of a sudden a news flash interrupted the program I was watching. A footage of two burning buildings appeared, which I mistakenly presumed was just on fire. Later the other horrific footages appear involving crashing planes and falling people, images that forever burned on my mind. A little over 12 years later I was able to visit the site. I skipped visit it the first two times I've been to New York as I was the place was still in the process of being rebuilt. 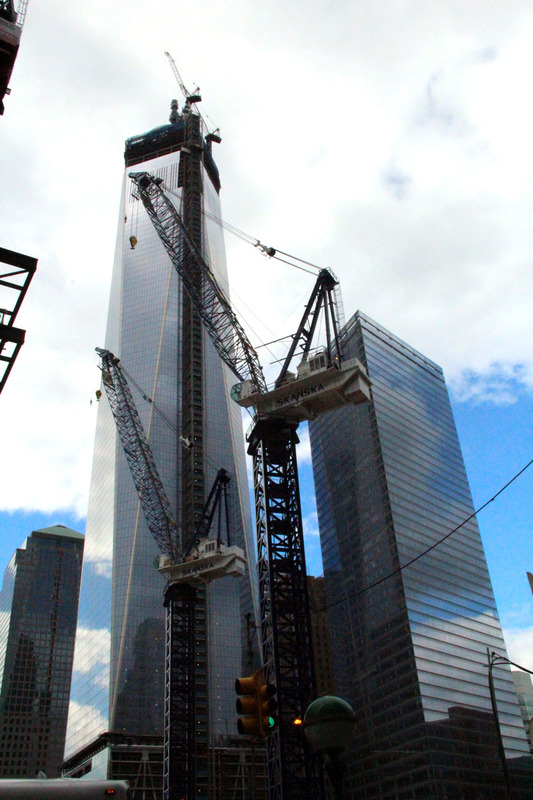 Most of the new World Trade Center complex is still under construction when I got there, even the One World Trade Center, which was to replace the fallen twin towers. Still, it was an impressive sight. I saw it right away as soon as I emerge from the subway. The One World Trade Center, which topped off just a few days ago, is 1776 feet high, the number a reference to the year of Declaration of Independence by the United States. It will be the tallest building in New York, surpassing the Empire State, as well as the tallest in Western Hemisphere. It will also be the third tallest (by pinnacle height) in the world. The 9/11 Memorial was also constructed in the complex, and the museum will open sometime this year. I was not able to visit the memorial, but I did visit St. Paul's, the oldest surviving church building in Manhattan. During the 9/11 attacks, the church, which is just across the World Trade Center, was unscathed, and it served as a place of refuge for the victimes of the attack. 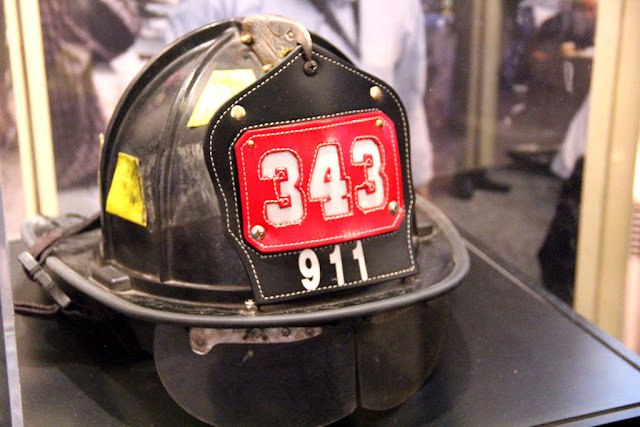 Today, the church holds many of the banners, patches and memorabilia collected to honor the firefighters and policemen who first responded to the disaster, as well as the victims of the attack. Take the E Train to World Trade Center.